Walker Hill Cellars is a boutique handcrafted Pinot Noir grown in the acclaimed Willamette Valley AVA of Oregon. The original vineyard site is comprised of very deep weathered, uniform Kilton soil, at an ideal elevation (above the frost and fog) and exposure (south facing). 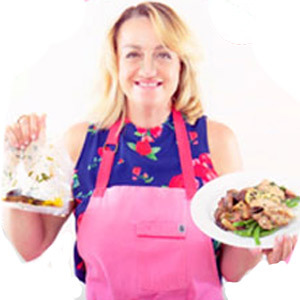 The soils come from the Melbourne Association. Melbourne soils are well drained and have a surface layer of dark-brown silty clay loam. The upper part of the subsoil is dark yellowish-brown silty clay loam, and the lower part is brown silty clay that is effective for deep rooting at more than 60 inches. In a representative profile the surface layer is dark-brown and dark yellowish-brown silty clay loam about 10 inches thick. The upper part of the subsoil is dark yellowish-brown silty clay loam about 36 inches thick, and the lower part is brown silty clay about 36 inches thick. The profile is slightly acid and medium acid in the surface layer, medium acid in the upper part of the subsoil, and strongly acid in the lower part of the subsoil and in the substratum. Soil acidity ranges from pH 6.2 in the upper 4-6 inches to pH 5.6 at lower depths. To bring premier Pinot Noir grapes to their full potential, we have adopted sustainable vineyard practices that emphasize flavor over production volume. These practices include: high density planting, shoot thinning, cluster removal, and avoidance of harsh pesticides and herbicides All of these efforts increase the cost of cultivation and reduces the amount of fruit harvested. 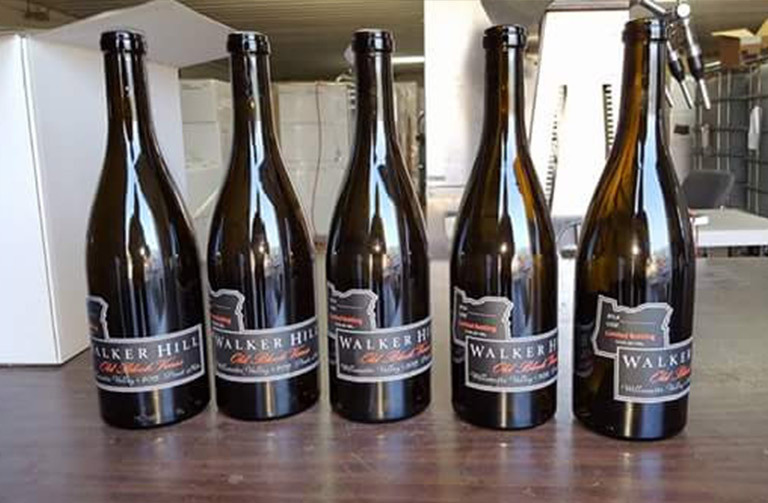 Each bottle of Walker Hill Cellars Pinot Noir is hand labeled with case number and bottle number and then hand waxed further providing the quality wine one can expect with each bottle. Walker Hill Cellars is proud of our wine and proud of the painstaking efforts put into guaranteeing the quality and presentation. It is our sincere hope that Walker Hill Cellars Pinot Noir will provide an experience you will cherish and create many wonderful memories. 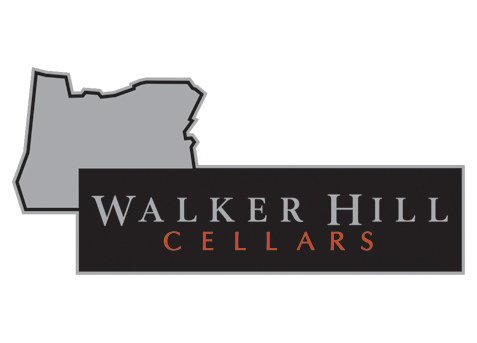 Walker Hill Cellars is a boutique handcrafted Pinot Noir grown in the acclaimed Willamette Valley AVA of Oregon. 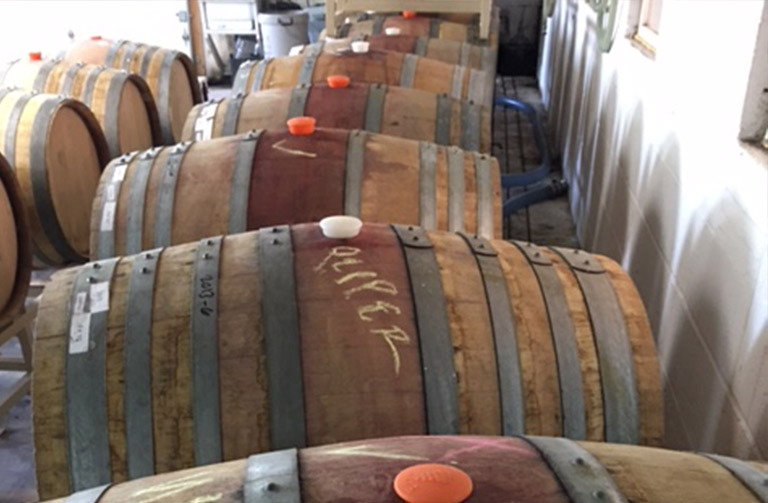 Walker Hill Cellars takes pride in our handcrafted Pinot Noir. From our selection of fruit to our hands on bottling the end result is quality second to none. Walker Hill, “Old Block Vines” is our limited edition on premise only Pinot Noir. Walker Hill, “Old Block Vines” Pinot Noir comes from a select block of vines located on the lower end slope of the meandering topography of the vineyard hence yielding more “natural” irrigation from Oregon’s famous rainy climate. Walker Hill, “Hannah-Grace Collection” is our limited edition off premise Pinot Noir. Walker Hill, “Hannah-Grace Collection” combines several individually selected barrels of 100% Oregon Pinot Noir building a well structured and fantastic Pinot Noir drinking experience. Walker Hill, “Jean” is our “single barrel” limited edition Pinot Noir. “Jean” is aged in French Oak for a minimum of two years with an aromatic bouquet that manifests from the moment you remove the cork. The full body of “Jean” offers unique hints of blackberry and pear with a crisp earthy, peppery Oregon finish.